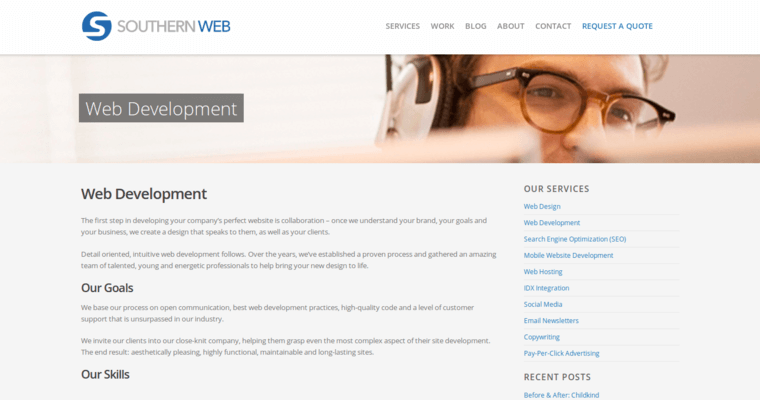 Southern Web Group builds responsive websites, focusing on agile web development for business growth. Since its inception in 2004, this company has been promoting its clients' messages with usability and simplicity in mind. 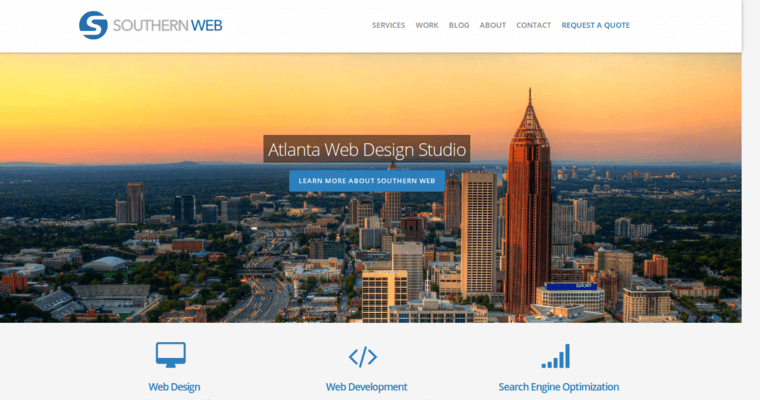 Thanks to a holistic design strategy, Southern Web blends content, functionality and images in one seamless package. From web design and development to SEO and mobile web development, this agency has received accolades for its extensive work in this space. Its specialties include e-newsletters, social media, IDX integration, PPC, web hosting and blog content development. Southern Web caters to a range of clients in a variety of industries, from law and manufacturing to medical and non-profit. It goes through a set process with each client, starting with discovery and design and finishing up with build and launch. Building websites that are visually appealing is important to Southern Web; however, so is creating sites that are functional and highly usable on any platform. 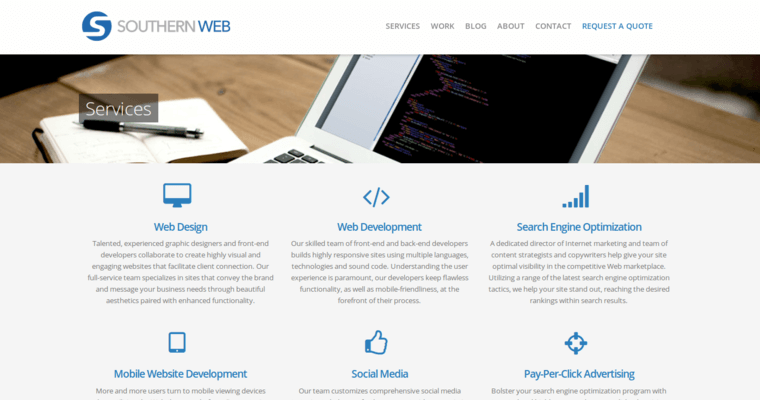 Clients can enjoy web design services ranging from redesign and ecommerce to catalog and WordPress design.